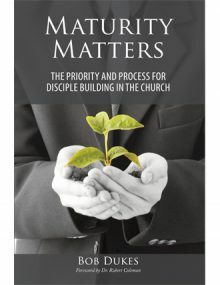 Our experience shows that the staff and leaders of most local churches have a strong, sincere desire to shepherd and guide their parishioners to maturity. Unfortunately, few leaders have been equipped to accomplish the task of “presenting people mature in Christ.” WDA helps to address this deficiency through our 2820® Project. We come alongside church disciple builders providing perspective, support, training, and resources. WDA offers various practical programs that help church staff “meet people where they are and help them take the next step.” These programs can be implemented within most existing church paradigms. Learn more about the WDA 28/20® project by reading Maturity Matters.